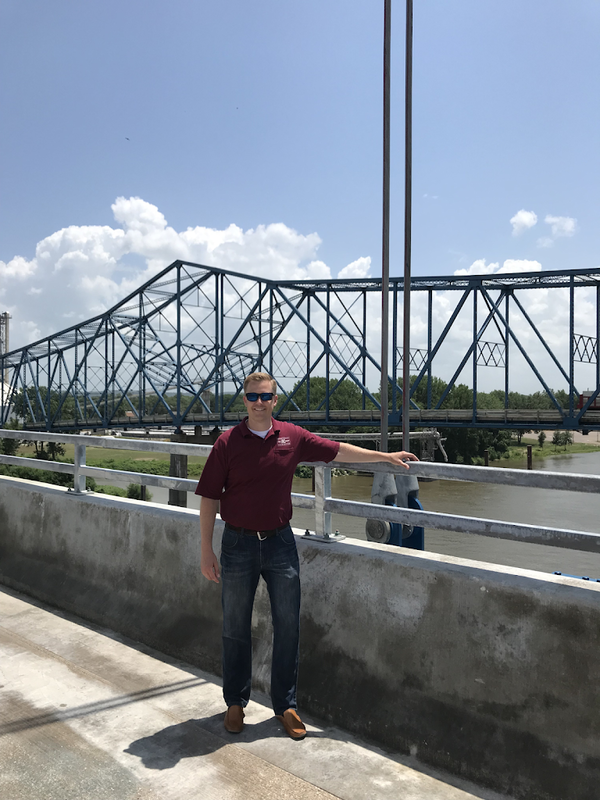 Rep Davidsmeyer poses for a picture on the new IL 104 Meredosia Bridge. The old bridge, built in 1936, will be demolished this summer. 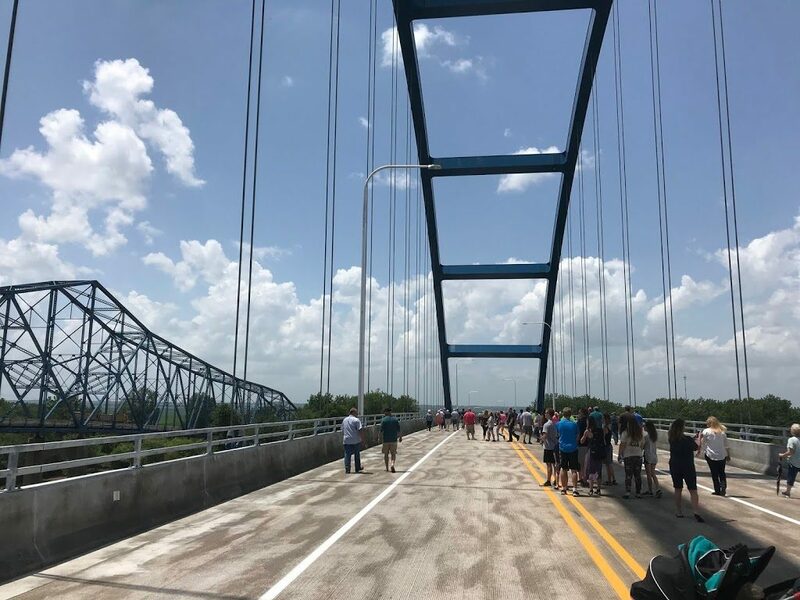 Members of the public view the new Meredosia Bridge. Cost of construction for the new bridge was $86.2 million. 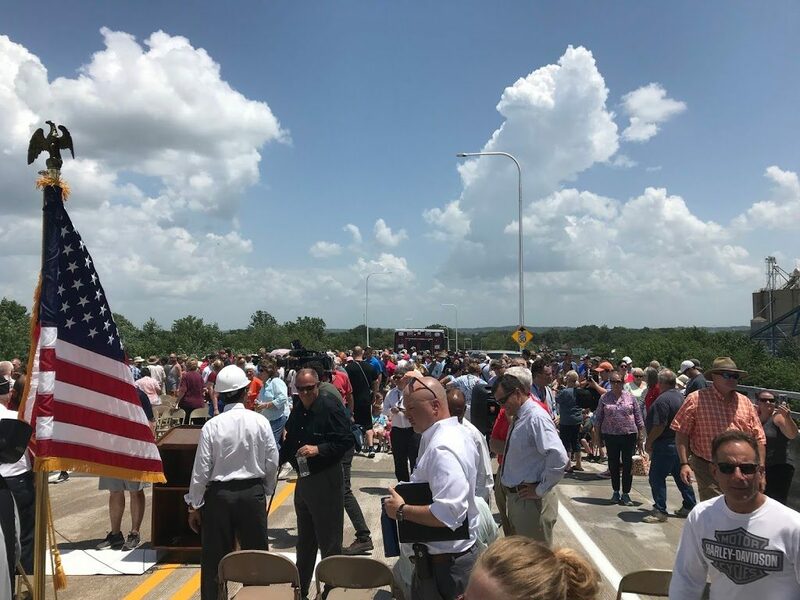 A large crowd gathers to commemorate the new IL 104 Bridge opening. The new bridge has two 12-foot lanes and two 10-foot shoulders to accommodate farm equipment.